Founded in 1886 at Cornell University, Sigma Xi is an international community of scientists and engineers dedicated to promoting excellence in research, enhancing public engagement with science, and fostering the next generation of researchers. Here, we have had the pleasure of speaking with John C. Nemeth, PhD, Executive Director and Chief Executive Officer of Sigma Xi, who tells us about the Society’s rich history, and the ways that it has been working to encourage scientific integrity, promote science education, and much more. Please start by giving us an introduction to Sigma Xi – tell us a bit about the organisation’s rich history. For 130 years, Sigma Xi has been the beacon of research, the clarion for scientific integrity, and the standard for quality performance. Our ranks include over 200 Nobel Prize winners. From Albert Einstein to a sophomore from East Plano High school, we encompass the total breadth of scientific research endeavour and the full array of all ages and stages of recognised professional achievement. Sigma Xi was founded in 1886 at Cornell University by a group of engineering students and a junior faculty member, Frank Van Vleck. From the beginning, the founders emphasised that the new scientific honour society would be broad in its outlook, devoted to all of science and engineering. Sigma Xi was designed to reward excellence in scientific research and to encourage a sense of companionship and cooperation among scientists in all fields. In selecting a name and motto for the new honour society, the founders chose a combination of Greek letters – Sigma Xi – not being used by any other group. By 1887, Sigma Xi was holding ‘regular meetings for the discussion of scientific subjects’, and the following year, the group elected five women to full membership, which both promoted the interests of women and made their research more available to the scientific community. By that time, chapters had been established at Rensselaer Polytechnic Institute, Union College, Stevens Institute of Technology, and Rutgers College, as well as at Cornell. At its quarter-century anniversary in 1911, Sigma Xi had about 2,000 active members in 28 chapters. Two years later, former Sigma Xi president Samuel W. Williston urged the establishment of a ‘Quarterly Bulletin’, which would, he argued, ‘create further interest in the Society and increase its usefulness’. This publication would later become known as American Scientist, which today is a bimonthly, illustrated magazine that communicates the latest developments in science and technology. As Sigma Xi grew, it came to play a prominent role in scientific affairs. In 1916, the newly-formed National Research Council asked Sigma Xi’s ‘cooperation…in organising…research facilities’ in preparation for the country’s expected entry into World War I, and the Society enthusiastically agreed. By 1927, Sigma Xi had firmly committed itself to a program (which continues today) of awarding small grants to young scientists through the Grants-in-Aid of Research Program to help advance their careers. Sigma Xi chartered its 100th chapter in 1948, and by 1950, it boasted about 42,000 active members. In 1947, a group of Sigma Xi members formed the Scientific Research Society of America (RESA) to encourage research in government and industrial laboratories, in the same way that Sigma Xi encouraged research in the academic community. In 1974, RESA merged with Sigma Xi, under the name of Sigma Xi, The Scientific Research Society of North America. Sigma Xi’s Centennial in 1986 provided an opportunity to address issues of importance to science and society in the decades ahead. With support from the National Science Foundation, Sigma Xi sought to develop ‘A New Agenda for Science’, a project that identified seven important areas for ongoing consideration: public understanding of science, science in the policy development process, interdisciplinary research, science education, the international dimension, cooperationnot competition-in science and technology, and ethical issues involving science and technology. In response, Sigma Xi adopted an expanded mission statement in 1989: to honour scientific accomplishments, to encourage and to enhance the worldwide appreciation and support of original investigation in science and technology, and to foster worldwide a creative and dynamic interaction among science, technology and society. Today, Sigma Xi has over 100,000 living inductees in over 500 chapters in the US, Canada and other countries, including Georgia, Switzerland, Thailand, Lebanon, New Zealand and Australia. Sigma Xi chapters are found wherever scientific research is undertaken in universities, colleges, industrial research facilities and government laboratories. Sigma Xi’s mission is very simple. Sigma Xi encourages, actively promotes, and directly supports performance of research at the highest degree of integrity and quality. Sigma Xi, the largest research honour society in the world, that is our inducted membership, is dedicated to enhancing and protecting the science and engineering research enterprise in all its facets. To reflect our true nature, we added ‘Honor’ to the name in 2016. You have had quite a varied career working as an environmental consultant, and more recently as the vice president of Oak Ridge Associated Universities. What motivated you to join Sigma Xi as the Executive Director? Through the various stops along the way, one constant has been paying my annual Sigma Xi dues. I was first in my family to even attend college, much less achieve the PhD, thus upon my 1969 induction to Sigma Xi at NC State University, the honour was strong, strong enough to last a career, for the pride and aura of zealous companionship has never left. Real scientists had invited me into their ranks! The meaning to me, even as an unproven researcher, was that I was now considered by others to be a scientist! At that point, I launched a very successful and rewarding career in environmental consulting, and came home to education and research for the longest segment of my career on the faculty at The Georgia Institute of Technology, appointed in three schools and as a Laboratory Director in GTRI. Just as background, before graduate school beckoned, I taught high school biology and chemistry, and coached American football and track. After ‘retiring’ from Georgia Tech in 1998, I became VP in charge of the country’s largest science-based consortium of research universities – Oak Ridge Associated Universities, ‘retiring’ yet again in 2009. Fast forwarding to October of 2015, I was asked to come out of retirement to assume the position of Executive Director and CEO for 6 to 9 months, and I agreed. The Society, like many such organisations, was experiencing some membership slippage and related issues. While happily working on a set of challenges and seeking a new permanent CEO, I was asked to remain for another year through to June 2017. Now, after a really enjoyable and hopefully productive tenure, I’m seeking to replace myself and retire once more. We have accomplished much and set a good heading into the future, and, naturally, I will involve myself in some way. So, why? I love Sigma Xi, The Scientific Research Honor Society. Everything about it from the initial honour of having thousands of outstanding Companions in Zealous Research, to my current position, the Society feeds my passion for serving the creativity and innovation that is research. Considering that the US is a world-leader in scientific research, why do you think scientific literacy amongst Americans is so low? Please tell us how Sigma Xi is striving to improve this situation. Wow, if I knew this answer I would be an even busier person. A friend contends that the literacy deficit, period, is a shrunken attention span due to ‘gadget communication’. Certainly, a changing way of life factors in, but there is more, and if it is true that busy thumbs have resulted in a decline in teenage drug use, why can’t they be learning something with those digits? I suspect that our people have a lifestyle that detracts from day to day realities until that point in life when responsibility actually sinks in. I know this was the case for me. Having a baby on the way got all of my attention, and, thankfully for me, the truly great thing about our educational system, with all its flaws, fits, and starts, is that it allows comebacks – it offers laggards another chance. As a scientist and an ordinary consumer of ‘the news’, I am suspicious of shallow analyses, ill-conceived premises, or just plain bogus statistical analyses and arm-chair sensationalism. All this normal confusion is compounded by the embarrassing failure of the pollsters, the undermining of educational content and pedagogy by legislators and other uninformed or special interest groups, and the advent of the astounding fake news phenomenon – in sum make for an altogether dangerous brew. You see, besides all the evidence that engenders my suspicions, I was once an 18-year old jokester that answered ‘yes’ on a personality test about whether someone was following me. Serious and personal calculation – thinking things through – and analysis without group-thinking is probably the best way forward for us all. That takes personal introspection and work. The broad-brush proclamations about the poor quality of our total educational enterprise and its products or our scientific literacy are not necessarily to be trusted out of hand… I’m just saying, sort of like Yogi Berra, a famous baseball player, who once held that, ‘if you look around, you can see a lot’. So, contrived man-on-the street interviews about science can be fun, but maybe not so informative, certainly not controlled experiments that produce truly evidence-based information. Unsubstantiated feelings, all forms of prejudice, and stereotypical characterisations are damaging, not fun. For now, I judge, as does the rest of the world, that the level of technological skill, innovation, and creativity in the United States competes very nicely anywhere. So, while we still may lag in many ways at some stages of an individual’s scientific development, and it is true that opportunity, inclusivity and fairness are meted out unevenly, I see that individuals are not left out entirely nor are they tested out at early age as in many other cultures. A large proportion of our children and adults have a chance to catch up, to work hard, and to succeed. I see that through it all, we produce really worldclass scientists, engineers, technologists, and mathematicians and that this cadre still represents the global gold standard. The thing is we need more gold, and the world must have an uninterrupted flow of investment and communication past obstacles confronting us in so many places and in so many ways. The prism through which I see our young and aspiring scientists and engineers is at conferences and poster sessions at science fairs. These young people are terrific. And so, I infer that their peers, passionate about other areas, are similarly improved over my pals that chose other paths in life. In sum, I don’t buy the whole pie that the scientific literacy of our people, young to old, is all that low. I do agree that it can be much better. If it is low, the reason might be most attributable to people so often uninformed about educational process, who control educational content and investment. This does not generally include teachers. My friend Norm Augustine, Sigma Xi’s inaugural Gold Key awardee in 2016, and his panel on this subject a few years back did a wonderful job of defining and then recommending the path forward for STEM education. The Nation has failed to follow that advice and institute a national, broad-based, consistent, well-funded, or sustainable STEM education movement. Inadequate science literacy and spurious notions like opposition to vaccination or claims that man rode around on dinosaurs and other equally spurious ideas come from widely and sometimes surprising sources, but my community of science deserves special criticism for not speaking out more often and for not being more visible to the larger society. Many people would say that the most visible way Sigma Xi improves the public understanding of science is through the publication of American Scientist – the finest science magazine in the world, I might add. Even so, Sigma Xi is a memberbased organisation. The good ideas and the energy and the promotion of research is member driven through the activities of our 500+ chapters. With the support from headquarters, chapter-based initiatives achieve public understanding of science through promoting Grant In Aid Research, STEM education, Science Cafés, our KeyedIn Blog, distinguished lecturers, our newsletter, ScienceDebate.org, the Coalition for Human Rights, Sigma Xi Speaks, student research showcases, and much more in our value proposition. Finally, we work hand-in-glove with sister organisations to present the clearest state of the art information available across all of scientific research. Explain how Sigma Xi works to prepare scientists to communicate their research more clearly and effectively. What are the major benefits that this initiative is likely to bring? • organising science cafes to provide a forum for engaging the public and for gaining experience with public speaking. • offering communication workshops during the annual meeting designed to educate members about the latest tools and techniques for communicating science. In recent years, we have focused on the use of social media for engaging public audiences. We are planning a major expansion of this sort of professional development programming. • regularly publishing articles in American Scientist that explain best practices for communicating science. We recently launched Science Communication, a column dedicated to effective dissemination of research. • providing communication support services through a new Research Communication Initiative that give scientists access to editorial and graphic design assistance that transforms very dense, sometimes difficult subject matter into much more easily understood and enjoyable content . We also provide platforms, including Sigma Xi’s publications, social media, and newsletters, for disseminating research to a broad audience. The major benefit…a communication-savvy population of science researchers and educators properly armed to present a robust voice for science. Does the Society also encourage scientists to act as advocates for public policy in support of science? It is fair to say that our whole organisation is dedicated to the promotion and protection of the research enterprise through totally apolitical and nonpartisan means. As a 501c3, we do not, cannot lobby specific legislation. In recent times, we have not as a whole been very active in the public limelight, preferring to hold meetings on important issues, write reports and conduct symposia, support distinguished lectures, and so on. All wonderfully useful pursuits; however, it is our duty and stated mission to promote and assure the highest possible ethical behaviour in research and to attain the highest possible quality research results; all conveyed in a full-throated voice. Recently, I have sought to actively partner with like-minded organisations, such as AAAS, Research!America, and AAU, helping add the backing of our 110,000 inducted members to issues of importance to research. We have continued the traditional effort of assisting new administrations in finding the highest quality individuals for appointments to research positions in government, many of which remain unfilled, as well as providing fact-based information to decision-makers. However, rising concerns over such issues as the CURES initiative, rights for Turkish scientists and now our own researchers, including travel restrictions, a dumbfounding erosion of public trust in science, and declining research investment have wakened us and have mobilised Sigma Xi to increased and visible action. On January 26, 2017, Sigma Xi sent a letter of concern to the White House over federal communications restrictions. The letter urged the Administration to move quickly to enable the rapid dissemination of information to the public. Then, on February 1, 2017, we issued a statement on the Presidential Executive Orders Establishing Temporary Travel Bans. The statement expressed our fervent desire that the President rescind the order and restore America’s role as a trusted leader and partner to the rest of the world. This matter and others continue to be disquieting. We released the following statement in part from Sigma Xi, The Scientific Research Honor Society on March 17, 2017. Executive Director and CEO John Nemeth released comments on President Trump’s Budget Proposal – President Trump has released his budget proposal for fiscal year 2018. If adopted by Congress, this financial blueprint would do harm to the American scientific enterprise, abruptly and dangerously curtail progress in scientific research and choke off the productivity needed for economic growth and technological leadership. The ability of the United States to effectively and efficiently protect its citizens from disease and disability, external threats, economic stagnation, and natural and man-made disasters depends on a robust scientific community. In the days to come and foreseeable future, Sigma Xi will continue to weigh in on all science research issues that impact the welfare and growth of the human condition. Look for them. Now, for me, one of the most exciting and heartening events since the first Earth Day is in the offing – the March for Science. Sigma Xi was the first scientific organisation to step up and partner with the march organisers. We have assisted in every way we are able to help these wonderful young people carry a positive, nonpartisan and apolitical torch that illuminates a positive, passionate message of support for science, one that is against no one or anything. We are working fervently to match as many of our Chapters as possible with the organisers of satellite marches across the country. To my unending pride and appreciation, the Board of Directors of Sigma Xi offered to fiscally sponsor satellite marches through the use of our 501(c) 3 status. To date, New York City, Chicago, Columbus, OH, San Diego, and San Francisco are taking advantage of this service. Many Chapters are working in their communities to lines up buses to attend the marches in DC and other cities. We are sending a bus from our headquarters. How prevalent do you believe scientific misconduct is in the research community today? By what means does Sigma Xi encourage scientific integrity? ‘The honour in being elected to Sigma Xi is inextricably coupled with responsibility, to use the knowledge that you have to better the lot of humanity. And this is the hallmark of Sigma Xi in the 21st Century.’ – Thomas F. Malone, Sigma Xi President 1988–1989. Charlatans exist in every aspect of human endeavour. Ethical behaviour and the highest standards of research are not just a part of our vision and mission statements. These core principles are life blood to Sigma Xi. These tenets are what we swear to when inducted. 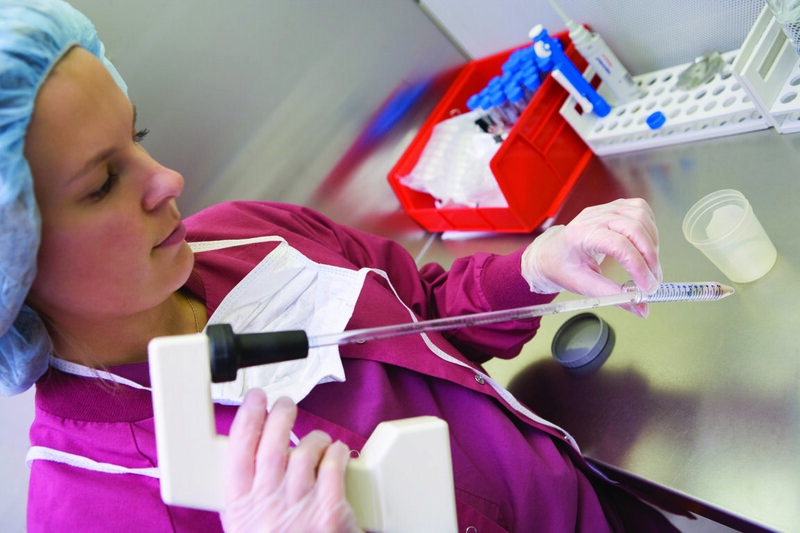 Through career training and across all we do, scientific integrity is at the forefront. As an example, Sigma Xi recently started, through OpenStax, contributing an ethics and integrity sidebar in each chapter of scientific textbooks. We will be doing more of that in the future, most notably in Advanced Placement texts for high schoolers. 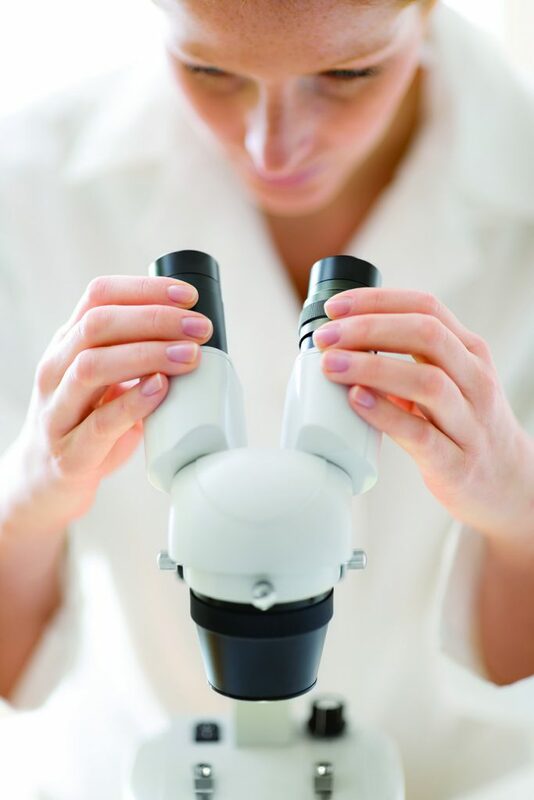 Since its founding in 1886, Sigma Xi has emphasised that integrity is vital to science. But for busy researchers, ethical practices are often taken for granted until something bad happens – perhaps a resignation, a retraction, or an authorship dispute. But, the research enterprise armed with peer-review does identify, correct, and enforce accountability upon those that fall from the responsibility tree. As an honour society, Sigma Xi aims to foster the highest professionalism among its members. This means cultivating a keen awareness of ethical issues and a proactive approach to research integrity as it applies to each stage of the research process. When scientists uphold ethical best practices in these and other areas, they contribute to an accurate scientific record, public trust in science, and efficient use of research funds. Finally, one of the biggest scientific challenges of our generation is anthropogenic climate change – please tell us about some of the many ways that Sigma Xi is striving to mitigate a global climate disaster, and working towards a sustainable future. Sometimes they are fairly direct. For example, we sponsored a reception for the James Hansen climate change lecture at the Virginia Tech hosted Appalachian Studies Association Conference in March. In truth, there is no way I can list the events directed at this subject through our 500+ chapters all over North America and the world. 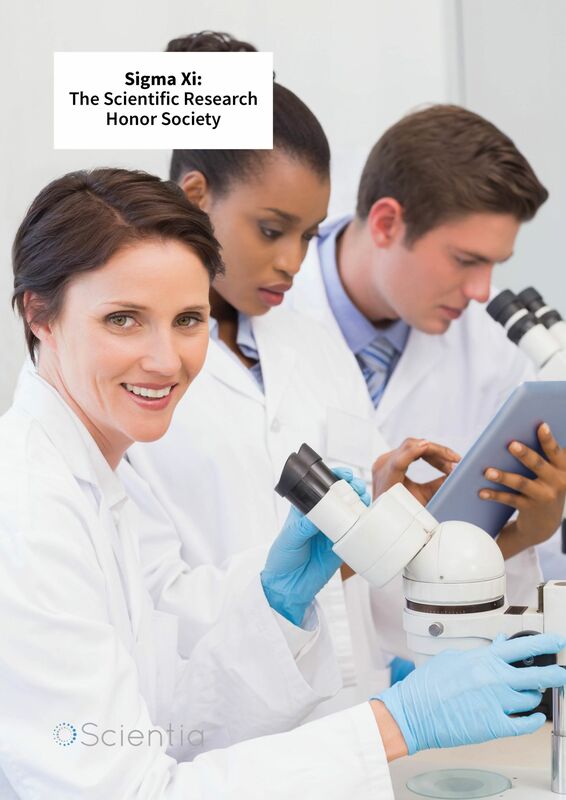 It will have to suffice to say that issues such as Climate/ Global Change, pro-vaccination, population control, national research investment policy, and environmental quality… name a subject…we are the ‘Scientific Research Honor Society’. Every aspect of research falls within the purview of our very diverse, eclectic membership, and they act through their professional endeavours and their voices as citizens. We have been and continue to be a leader in laying the research foundation for the fact of global climate change, disaster if you wish. We portray the evidence-based facts as we know them about global change. How? We are 110,000 plus living, inducted members composed overwhelmingly of researchers that not only perform the research to establish founding principles, but we also write, speak, and teach in classrooms and elsewhere about the already undeniable case that human activity contributes to global warming significantly and in a seriously large magnitude. 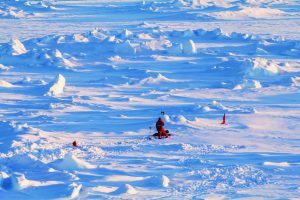 That said, we are also a huge portion of the research workforce that is seeking ways and means to mitigate the already evident damaging effects of global warming and the technologies to halt the production of greenhouse gases through the replacement of fossil fuels with already competitive, emerging clean energy sources and infrastructure. Should you point to any research facility or clean energy business – science, engineering, technology, or math based – you will find members of Sigma Xi at the core and leading. The examples are legion, but I will point again to our inaugural Gold Key Awardee, Norman Augustine, Lockheed-Martin and multi-faceted contributor to STEM education and national defence, and so much more, or to Jim Goodnight, Founder and CEO of SAS, a leader in corporate conduct and employee welfare and advancement of STEM education.